Don’t feel as if your business has to be shoehorned into an existing space or standard design. Choose PEAK Architecture for business and commercial building designs created with your specific needs in mind. Get building with the PEAK Architecture team! Experience in Colorado’s specific design needs. A collaborative approach to building design. A focus on creating energy-efficient spaces. Thorough knowledge of building codes and requirements. Fully customized designs that can be adjusted throughout the process. Whatever your business or commercial building endeavor, we can help create the right design to support your needs. That’s simply part of our commitment to creating collaborative, customized designs that are individual to each project. But, while we want to ensure each plan works for your needs, we are also committed to eco-friendly, sustainable, and net-zero architecture design. There are a multitude of reasons for this, but it all comes down to doing our part to keep our region of Colorado beautiful for generations to come. Building codes have been changing recently in Roaring Forks. While specific codes can still vary from Basalt to Aspen and Glenwood Springs to Snowmass, Pitkin County is making a big push to become a net-zero region. This means that buildings will need to have some way to offset their energy needs — which can include anything from passive design practices to solar power and more. The overarching idea is that net-zero building will mean less of a drain on resources, which will help better protect and preserve the abundant bounties of our region. Here at PEAK Architecture, we create net-zero-ready architecture designs that are not only up to code based on local requirements, but that are also created to make sustainable building and operation a reality. Not every business endeavor needs a brand new building, but you do need a building that fits your business’s specific needs. If your location is great, the answer may not be a brand new building with a new locale. Instead, building renovations or an addition can make your current location so much more effective for your business’s needs. Give your current location the boost it needs to be truly effective. At PEAK Architecture, we don’t limit ourselves to new designs. We offer renovation and addition design services as well. And, as with our new design services, we also put a major emphasis on sustainable, net-zero designs for the renovations or additions we create. We bring our collaborative mindset to each design to ensure that changes will work for your needs and we will also incorporate eco-friendly products and plan for sustainable building practices. 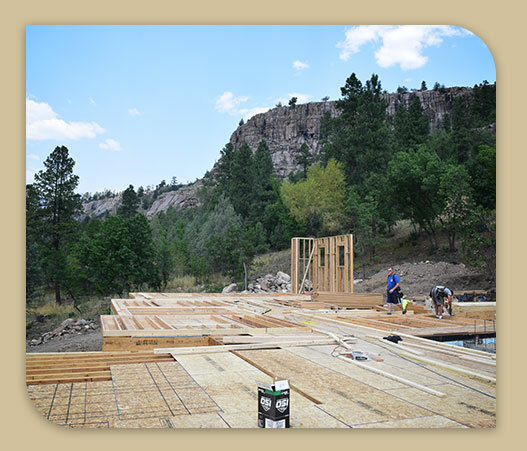 We want to meet local building code regulations while doing our part to protect the environment. Learn more about our collaborative, customized, sustainable architecture process. Connect with the PEAK Architecture team today to schedule a design consultation.